Lightning caused fire, Upper Burro Mesa trail closed. Last night's lightning storms ignited two small wildland fires in the park, to the west of Ross Maxwell Scenic Dr. The fire pictured here is burning just southwest of the Burro Mesa area and is projected to be about 1/3 of an acre. Firefighters are on scene. The Upper Burro Mesa Trail is closed until further notice. Smoke may be visible from several areas along the Ross Maxwell Scenic Dr. There are no other road or trail closures at this time. Although these fires were caused by lightning, we remind visitors to be cautious with any ignitions or flames when lighting liquid fuel stoves or charcoal grills (ground fires and wood fires are prohibited). Hot, dry winds continue throughout the park and temperatures are reaching 115 F this week." That's about the size of my yard. Some small fires today, both caused by storms this one burned out. I was mainly concerned about park fireman that went to check it out. I was concerned he would not be able to get back to truck because of steep slope, but he was OK. It looks like rain frequently, but this is a very dry summer so far. Fire was just below "Sotol Vista"
Second fire, this was about one mile south first fire, above"Burrow Mesa Pour Off". It was still burning at sunset but doubt it will cause any significant damage. Will post photo's of storm that caused fire in next few days. The Fire has grown much larger, the smoke is clearly visible from Terlingua, and now stretches several miles across Burro Mesa. The park is going to let it burn for now, it is just to remote to get to and someone probably would get hurt, either in the terrain, or because it has been over 110 just about every day. To me the forces of nature are some of the most beautiful, this was such a majestic sight. If you enlarge you can see some flames, the wind was blowing about 30 miles per/hr. The fire is blocked by the paved road to the east. In some places it is only 50 or so feet from the road. 6 AM update wind has changed direction fire seems to be almost completely out. It looks like that cloud in the background is giving things a "thumbs up". Either that, or God is an Aggie. This fire was a monster at 10:30 last night, when the park service left at 9 PM it was a baby, but the winds picked to 40 or 50 miles per hour and it turned into this monster. You can see the embers coming down slope and looked like it was going to jump the road on the way to the Chisos. I was quite concerned at this point. But the wind again changed direction and in a few hours it had gone. This photo is of about a quarter or a mile section. The fire continued like this for up to five miles, the whole sky was lit up The park really was quite lucky. The slope you are looking at is probably 500 feet high, the fire in on back side of slope , so you are just looking at the reflected surface of fire, but its over 100 feet above top of ridge line anyway. Owing to my great love for the Bend, wildfires concern me. I am grateful for the "coverage" of this story here on BBC. if you ever been up on top of Burro Mesa, you'll realize that the amount of fuel is pretty minimal, especially north towards and above Sam Nail. The fire will burn, the rains will come, the grass will grow. I'd like to see an official report....Crickets from the NPS? I always am amazed at folks who agonize over wildfires. Oh, the pretty scenery is (going to be) destroyed! Oh, the tragedy! Well, not really. Fire is a natural process and always will be with us. Yes, some fires are catastrophic due to decades of misguided suppression, that will take many more decades to undo the damage. The only way that is going to occur is to let many fires burn which, increasingly, is the case at least on USFS and BLM lands; perhaps the NPS as well. Not putting out these fires is the only way to reestablish a natural order and low-intensity regular burns rather than raging infernos. The situation further is exacerbated by the ever-expanding wild/urban interface as folks, having zero understanding of wildfire, build in places that cannot be defended, and do little to nothing to fireproof their properties, but they expect someone to save them from poor decision-making. California is the poster child for this mentality, closely followed by Colorado. Closer to TX, Ruidoso NM is a prime example. 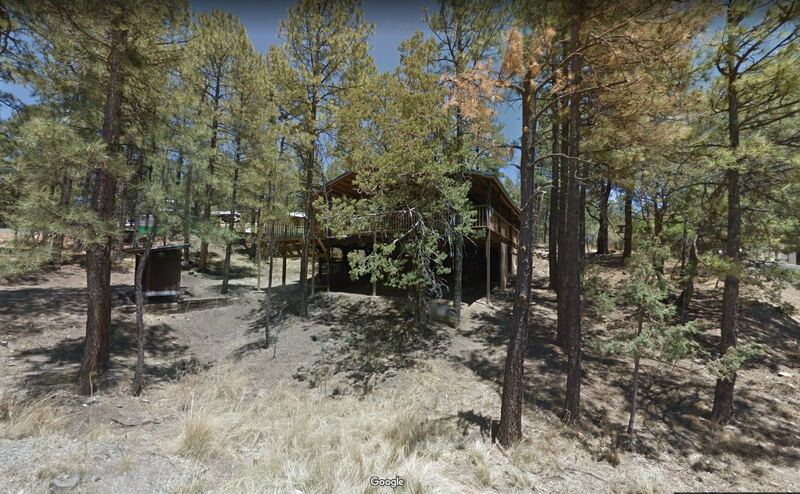 Heavily populated by Texans that have never seen a wildfire up close, houses are built with Ponderosas literally inches from the structures, with a heavy overstory above the roofs and a deep forest duff layer throughout the community. According to state fire officials, it is the the town most at risk of a catastrophic fire event. If a fire ever gets started there (and there have been several close calls) the whole place is likely to burn. Part of the town has a single escape route and it will be very ugly if a fire starts. Here's a Google Street View of Ruidoso that is typical of the entire town. Wooden houses, closely surrounded by pine forest, just waiting to burn. The region also is beset by pine bark beetle killed trees that will ignite at the drop of a hat. This is a very scary situation that most residents either are oblivious to or who think it won't happen to them. Ignorance is bliss. There is no safe zone anywhere. Folks with an understanding of wildfire risk get a major case of the heebie jeebies driving through the place. The only solution is intensive and extensive thinning and removal of fuel, something the town is trying to encourage but with minimal success. Just a few miles up the road is all the encouraging a smart person would need. The Little Bear fire of 2012 burned 43,000 acres, and consumed several hundred houses (mostly small recreational cabins, though there were real houses burned as well). This was just over the hill from Ruidoso. The forest cover and terrain were exactly like Ruidoso and the fire was so intense and hot it burned to mineral soil and wholly consumed huge trees. The fire was prevented from backing down into the town only because the ski area was between the fire and town. The snow-making cannons were turned on full force and kept things wet enough to control the fire on that side. Some folks learned from this event, most did not. Post-fire there will be some great real estate deals.